Nancy's first book report is sure to be bedazzling. After all, she is the second-best artist in her class. She is using beads, fringe, and a fancy border for the cover. And she is writing about Sacajawea, a true-life heroine. What could go wrong? Join Nancy as she learns that you can't judge a book report by its cover! 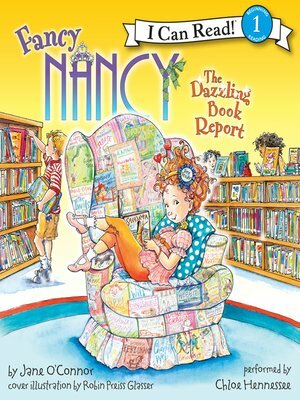 With simple text and vibrant illustrations, this newest addition to the Fancy Nancy I Can Read series will delight readers young and old.